Pan-African financial institution, United Bank for Africa (UBA) Plc, has once again proven its leadership on the continent, as The Banker magazine has crowned the bank ‘African Bank of the Year 2017’. The award was a first for Nigeria as it marked the first time a Nigerian-headquartered bank will beat other contenders to the prestigious and highly coveted regional award. To further demonstrate the group’s strength and dominance in the financial sector on the continent, four of UBA group’s operations in Africa also led contenders in their respective countries to emerge the ‘Best Bank of the Year 2017’ in their respective markets. A statement from the bank Thursday said UBA Congo, UBA Tchad, UBA Gabon and UBA Senegal emerged the Best Bank of the Year in Congo, Tchad, Gabon and Senegal, reinforcing the strong franchise of the group across its chosen markets in Africa. 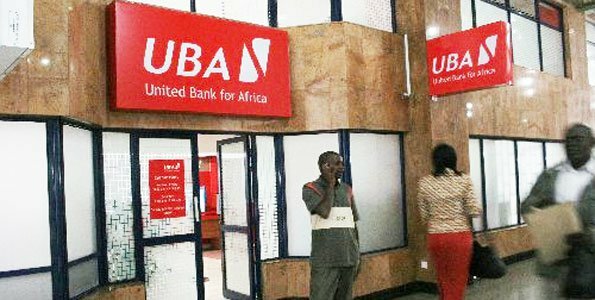 UBA Gabon and UBA Senegal won the same awards in 2016, as both subsidiaries of the UBA Group remained the banks to beat in the respective countries, the statement added. A publication of the London-based Financial Times newspaper, The Banker magazine, is a global financial intelligence magazine that provides global bank ratings/analysis and is the definitive reference in international banking for high level decision makers globally. According to the magazine, the aim of the award “is to highlight industry-wide excellence within the global banking community. The winner is selected from participating banks in each of the 120 countries from which entries are received for the competition”. Explaining the rationale behind UBA carting multiple categories in its December issue, The Banker magazine noted that Africa’s economic landscape has been unpredictable in recent times, resulting in recessions in some of Africa’s best performing economies while the region as a whole only expanded by about 1.3 per cent in 2016. “In these conditions only the most diversified and innovative of regional banks can prosper. And this is precisely why the United Bank for Africa (UBA) has scooped the 2017 regional winner award. “For one, the lender registered impressive top- and bottom-line growth over the review period,” it noted. The magazine went further to enumerate the various achievements recorded by UBA Group during the period, noting that earnings for the year reached N384 billion ($1.07 billion), signalling a 22 per cent growth from its 2015 performance while profit before tax also grew by 32 per cent, to reach N91 billion. It added that the pan-African bank’s foray into various ventures in Africa also helped to clinch its activities in the year under consideration, stating: “Beyond the numbers, the bank has won and acted on a number of headline deals. These include financing a new stadium in Douala, Cameroon for the 2019 Africa Cup of Nations for $285 million. The organisers observed that UBA also made impressive strides in the digital space, adding that in terms of internet banking, the organisation processed seven million transactions valued at more than N600 billion in 2016. Mobile banking processed transactions valued at N70 billion over the same period. UBA also launched eMailMoni, a service that lets customers transfer funds via e-mail, while Chat Banking allows clients to perform basic transactions through social media platforms. “For these reasons and others, UBA is the winner of our 2017 African Bank of the Year award,” the magazine stated. According to the statement, the Group Managing Director/CEO of UBA Plc, Mr. Kennedy Uzoka, who was delighted by the recognition from The Banker, said: “These awards mark another milestone for the UBA Group and are a testament of the diligent execution of the bank’s strategic initiatives on customer service. “Being recognised as Africa’s best bank complements positive feedback from customers and is a recognition of our improving efficiencies, service quality and innovation. I therefore dedicate it to our growing loyal corporate and retail customers, who are our essence. “Given our heritage commitment to Africa’s development, we continue to impact lives through our service as well as funding to individuals, businesses and government.” Uzoka added: “The bank remains focused on its goal of democratising banking in Africa, leveraging on new technologies and our rich pool of talent. He added that the bank will continue to leverage its local knowledge, global exposure as well as presence to drive positive change in Africa, working actively with the government, local businesses, regulators and other stakeholders in deepening financial services. The Banker awards “Bank of the Year Awards” are widely regarded as the Oscars of the banking industry. For 90 years, The Banker has been the world’s leading monthly journal of record for the banking industry. UBA was incorporated in Nigeria as a limited liability company after taking over the assets of the British and French Bank Limited, which had been operating in Nigeria since 1949. UBA merged with Standard Trust Bank in 2005 and from a single country operation founded in 1949 in Nigeria – Africa’s largest economy – the bank has become one of the leading providers of banking and other financial services on the African continent. UBA was the first Nigerian bank to make an initial public offering (IPO), following its listing on the NSE in1970. It was also the first Nigerian bank to issue global depository receipts (GDR). The shares of UBA are publicly traded on the Nigerian Stock Exchange (NSE) and the bank has a well-diversified shareholder base, which includes foreign and local institutional investors, as well as individual shareholders.